Parsley Benefits: It's Not Just For Garnish Anymore! 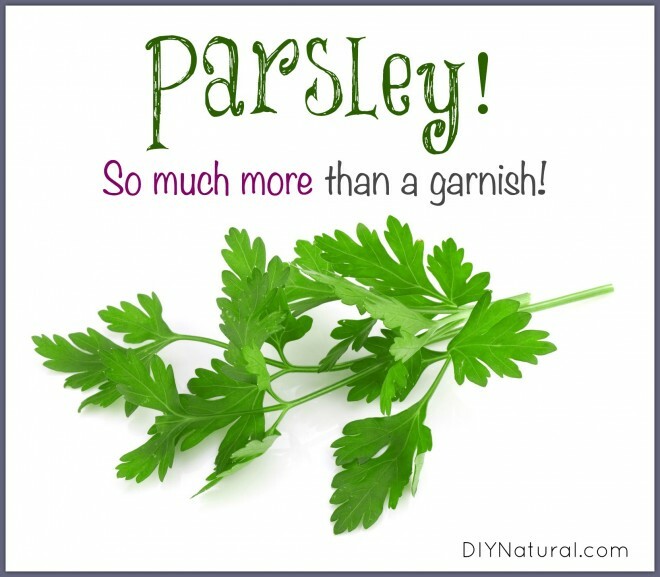 Home DIY Natural Blog Food Benefits of Parsley: Not Just For Garnish Anymore! Benefits of Parsley: Not Just For Garnish Anymore! Parsley is a great herb for garnishes. It looks pretty, bright green, and healthy. It perks up most any plate. But did you know that parsley is good for more than garnishes? Read on! Parsley is a good herb to keep around for many reasons. Cooking is just one. Parsley has many antioxidants. It can help cells to live longer and help prevent aging. Among these are vitamins A and C.
Parsley contains chlorophyll. It can help freshen bad breath. Parsley contains myristicin, a powerful anti-cancer substance. It especially inhibits tumors in the lungs. The Vitamin C in parsley can act as an anti-inflammatory. It may help relieve symptoms of osteoarthritis and rheumatoid arthritis. The Vitamin C in parsley also helps the body to build its immune defenses, making it easier to fight off infections. Parsley contains folic acid, essential for healthy bodies. It can also help prevent birth defects. Parsley also contains iron, essential in fighting anemia. Just one tablespoon of parsley contains enough Vitamin K for the average adult. Vitamin K is essential for blood clotting. Parsley is a diuretic, meaning that it helps to remove excess fluid from the body, as in edema. Parsley is a bitter herb which helps to stimulate digestion. Parsley contains some magnesium. 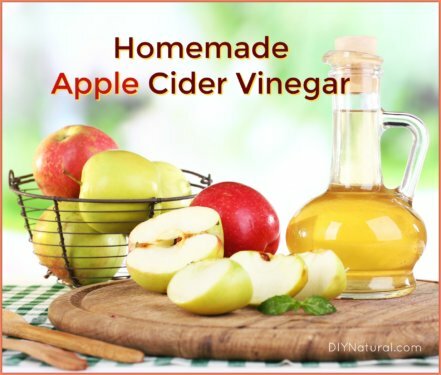 Along with the anti-inflammatory actions of Vitamin C, it can help relax muscles. Parsley is good for the skin. It contains Vitamin C, copper, iron, magnesium, and potassium. There are two types of parsley, flat leaf and curly. Both contain the same nutrients and taste very similar. I prefer the flat leaf for cooking as it seems to have a bit more flavor, but the curly variety looks prettier. Parsley is easy to grow. It takes a while to grow from seed, but you can get plant starts at a garden store. If starting parsley from seed, see this article on growing herbs for important tips. You can harvest parsley any time of the year. In many areas, such as here in Western North Carolina, parsley can be harvested all winter. Beware though, parsley is a biennial. It will grow great the first year and then do well in the spring the second year. Then it shoots up a flower spike in late spring and dies shortly after that. I’ve prolonged the life a bit by cutting back the flower spike, but it nearly always dies later. It’s best to plant new ones to keep it going. You can use it fresh or dry it for future use. Drying is easy. Just place it on a cookie sheet and leave it in the sun. In a few days it will be crisp and dry. Store in an airtight container. I use dried parsley in soups and stews, on chicken, and in butter for steak and rolls. Use it by the handful, not the teaspoon! I also use parsley for a facial scrub. It’s great for exfoliating and brightening – the skin on the face seems to drink up the nutrients. Chop parsley and pulse oats in a food processor or spice grinder. Mix the two together. Add enough water to make a thick paste. Rub this all over your face and let it sit a few minutes. Yes, it looks dingy, but it will feel so good. Rinse thoroughly and moisturize if needed. You can do this two to three times a week. 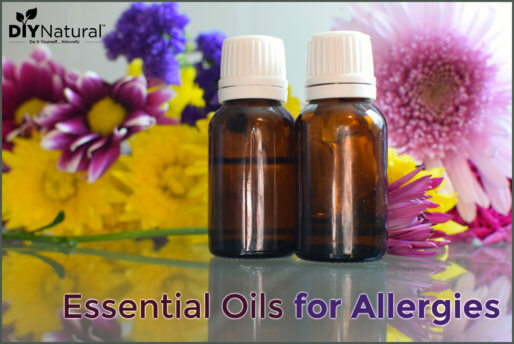 I also use parsley in my Skin Care Tincture along with some other great herbs for skin. Fill a pint jar half way with finely chopped parsley, plantain leaf, calendula flowers, chamomile, chickweed, and yarrow. Cover with alcohol, shake well, and set in a warm sunny spot. Shake every day for at least 1-2 weeks. The longer it sits, the stronger it will be. Strain the herbs off and store in a dark bottle. 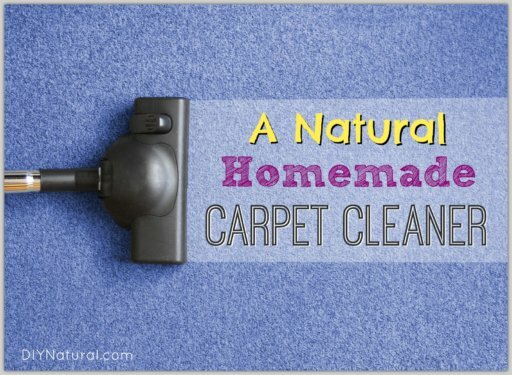 I make a spray out of it by diluting it half and half with distilled water. Spray this on scrapes, burns, and bug bites. It will sting at first, but the herbs will help heal the skin faster. You can use parsley for just about any aspect of cooking that calls for herbs. Just be sure to use a lot of it. I use it in my grandmother’s potato soup and in my mom’s recipe for refrigerator dill pickles. I use it in salads and in stuffing. There is really no end to what you can do with it. Do you use parsley? What are your favorite ways to use it? I like adding parsley to our green juice. I like it in dumplings.